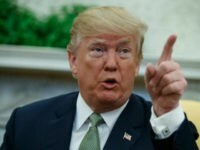 As presumptive Republican presidential nominee Donald J. Trump has preached a message of “America first,” major American companies, that have been staples of manufacturing and economic growth, are being bought up by foreign companies, at what seems to be an exponential rate. Breitbart News has compiled a list some of these businesses, including Budweiser, Motorola, 7-Eleven, General Electric, Smithfield Foods, and Legendary Entertainment. Adolphus Busch married Eberhart Anheuser’s daughter and began to work under Anheuser at his Brewery in St. Louis. Busch eventually became partners with his father-in-law, after he purchased half of the brewery. The company was renamed the Anheuser-Busch Brewing Association. Years of expansion led to a variety of beers, and through multiple generations, Anheuser-Busch Brewing Association became one of the largest beer producers in the world. In 2008, August Busch IV sold the American beer company to InBev of Belgium for $52 billion. 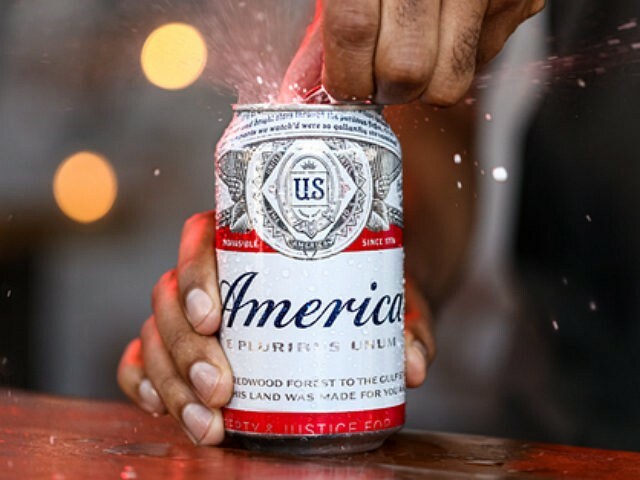 A marketing strategy by InBev now labels the can with “America” instead of “Budweiser,” but make no mistake, the beer is owned by a Belgium organization. Motorola started when brothers Joesph and Paul Galvin purchased the Stewart Battery’s Company at a manufacturing auction in 1928. They created the car radio and coined the phrase Motorola to go along with it, leading to a series of revolutionary inventions, such as car radio receivers for police vehicles as well as the walkie talkie. Motorola was extremely important to the Apollo 11 mission as they designed, tested, and produced electronics for the mission. As the age of cell phones dawned, Motorola produced brilliant device after brilliant device. In 2011, Motorola split into two companies Motorola Solutions, as well as Motorola Mobility. Seven months after the split, Mobility sold to Google for $12.5 billion. In 2014, Google sold Mobility to Lenovo of China for $2.9 billion. Smithfield Foods got its start during colonial times, making a name for itself by producing quality hams. In 1962, Joseph Luter III became the owner after he inherited the company from his father who had passed away. Later, he sold the company for $20 million to Liberty Equities based in Washington D.C. Due to poor business decisions by Liberty Equities, Luter was summoned by the board of directors as CEO. Through savvy and aggressive business decisions, the new CEO was able to grow the company as it acquired Circle Four Farms, Carrol’s Foods, Murphy Farms, and Farmland foods, among other entities. In 2013, the company was purchased by the Shanghai Group of China for $7.1 billion, including Cook’s, Smithfield, Farmland, Eckrich, Healthy Ones, John Morrell, Curly’s, Gwatlney, Margherita, and Armour, giving Chinese shareholders a monopoly on the American hog business. In 1961, CEO Stanley Durwood renames the Regent Theatre, purchased by the Dubinsky brothers in 1920, American Multi-Cinema. The creators of the multiplex and the megaplex, AMC, was the first theater chain to incorporate cupholders as well as stadium seating. AMC continued to improve their theaters, becoming the first theater chain to offer gift cards, add the dine-in concept allowing moviegoers to order food from their seats, as well as incorporating I-Max and 3D. In 2012, the theater chain was sold to the Dalian Wanda Group of China for $2.6 billion. Ben and Jerry opened their first ice cream shop in Vermont in 1978 when they renovated a gas station, making it into an ice cream shop with a $12,000 investment. Early success enabled Ben and Jerry to rent space in a spool and bobbin mill to package the ice cream for sale to local mom and pops in addition to grocery stores and restaurants. In 1984, the company created a Vermont-only public stock in order to raise money for a new plant. The company went on to name ice creams after instrumental American music figures, such as “Cherry Garcia,” which was named after Grateful Dead guitarist Jerry Garcia, along with “Phish Food,” named for the band Phish from Maine. In 2000, Ben and Jerry sold to the company Anglo-Dutch company Unilever for $326 million. In 1954, Insta Burger King was opened in Miami by David Edgarton, and three months later, he was matched in capital by Jim McLamore. In 1967, Pillsbury Co. purchased Burger King for $18 million as the company grew immensely in 13 years, operating out of 274 restaurants. The Pillsbury Co. was acquired by Grand Metropolitan PLC in 1988 for $5.79 billion and remained a subsidiary of Grand Metropolitan PLC until it was sold to a group, including Bain Capital, Goldman Sachs, and Texas Pacific Group in 2002. Eight years later, after going public in 2006, Burger King was purchased by 3G Capital of Brazil for $3.3 billion in 2008, again becoming a private entity. With eight ice plants and 21 retail docks in 1927, the Southland Ice Company recognized a business opportunity when one of its employees, “Uncle Johnny” Jefferson Green, “began offering customers bread milk and eggs from the ice house.” Understanding grocery stores were closed on Sundays and evenings and that some customers could not find time to buy groceries, The Southland Corporation began selling these items at their other locations. Within a decade, the company operated out of 60 locations. The company expanded its products to canned goods, office needs, and alcohol when prohibition was repealed. Known as “Tote’m” the company changed its name to the hours of operation “7-Eleven,” and rapidly expanded from state to state. The innovators of the “Slurpee” expanded to different countries, and eventually sold to Seven & I Holdings of Japan for $1 billion in 1991. IBM invented the IBM 5100 Portable Computer, weighing 50 pounds in 1975, modeled after the 5100 desktop computer but as compact as the IBM typewriter. In 1981, after further development, the IBM personal computer was available for $1,565 and could process information faster than computers twenty years earlier, which cost $9 million and required a staff of 60 people to keep them running. After a consumer demand for a more portable computer, IBM began its development of the laptop. Through six years of development, IBM created the ThinkPad Brand, enabling the company to flourish through the 90’s and early 2000’s. In 2004, IBM was no longer interested in PC development and sold to Lenovo of China for $1.75 billion. Harvey S. Firestone founded the Firestone Tire and Rubber Company in Akron, Ohio, in 1900, initially providing a service of fastening rubber to steel wheels on carriages. As the carriage era was coming to an end and the auto industry was on the horizon, Firestone met a young Henry Ford. Providing tires for Ford’s revolutionary automobiles, the company took off with the auto industry, becoming a staple of American manufacturing. By 1910, Firestone eclipsed $1 million in profits for the first time. He retired in 1932 and passed away in 1938. Firestone sold for $2.6 billion in 1988 to Japanese company Bridgestone. John Hancock Life Insurance company was founded in 1862 in Massachusetts by four people. Named after John Hancock, one of America’s forefathers, with perhaps the most iconic signature in American history, the corporation remained in the United States for 142 years. The company demutualized and changed its name to John Hancock Financial Inc. in 2000. Four years later in 2004, the company was sold to Manulife Financial Corporation of Canada for $11 billion in stock. Kemmons Wilson created the first Holiday Inn in Memphis, Tennessee, in 1952, after a family road trip became frustrating. As Wilson stayed in dirty motels which added surcharges for children, he came up with his idea for the Holiday Inn. Recruiting investors and offering public stock, Holiday Inn became the first hotel chain to exceed $1 billion in revenue by 1972. In 1988, Holiday Inn was purchased for $2.23 billion by the Bass PLC company of the United Kingdom. Pronto Market was founded in 1958 by American Joe Coulombe. The first store named Trader Joe’s opened in 1966 in California. The company was sold in 1979 to a German billionaire Theo Albrecht, who created the supermarket chain, Aldi. Trader Joe’s is owned by the Albrecht family through a family trust. CITGO began when Henry L. Doherty started the Cities Service Company in 1910. After determining the company needed a name change, it came up with the name CITGO, keeping the root of cities and combining it with go to imply power. Occidental Petroleum purchased CITGO in 1982 but sold the company to The Southland Corporation the following year as Southland Corporation desired to supply gas to its 7-Eleven stores. Southland then sold 50 percent of the company to Petróleos de Venezuela in 1986. After another four years, Petróleos de Venezuela became the sole owner of CITGO for a total of $290 million. When Dorothy Gerber ran into problems straining peas for her seven-month-old child, she and her husband began to develop a process that would take place at the family canning company in 1927. Just a year later, the canned baby food made its way to grocery store shelves. Eleven years later, the company developed a baby cereal, and in 1963, they were among the earliest companies to use “better if used before” on products. Gerber created what today is the Parent’s Resource Center, which offers parents support and advice regarding infants in 1986. Twenty-one years later in 2007, Gerber sold to Nestle of Switzerland for $5.5 billion. Ingram Micro’s origins started in Southern California in 1979 as Geza Czige and Lorraine Mecca, who were husband and wife, formed Micro D, Inc. After an impressive first year with 3.5 million in sales, the company expanded and was taken public in 1983. Ingram Industries owned the majority of the stock and purchased the remainder of the Micro D shares in 1989. Four years earlier, Ingram Industries acquired Software Distribution services and renamed it Ingram Computer in 1988. After acquiring Micro D, Inc. in 1989, Ingram Industries merged the two companies. In 2013, the company reached $42.6 billion in annual revenues — its highest ever. Earlier this year, Ingram Micro sold to Tianjin Tianhai Investment Development Company of China for 6.3 billion. In 1882, Edison General Electric Company and two other companies were incorporated, General Electric was created. Many in-house scientists created products and patents after an industrial research laboratory was created, enabling G.E. to provide an extremely wide range of electrical products. G.E. purchased the RCA Corporation in 1986, which included NBC but sold off RCA’s Electronics Division to a state-owned firm in France, Thomson SA. Early in 2016, General Electric was sold to Qingdao Hair Company of China for $5.4 billion. Legendary Entertainment was founded in 2000 by Thomas Tull, a laundromat owner just five years prior. The media company has produced a number of blockbuster films such as the Batman Trilogy, “300,” “The Hangover,” and “Jurassic World.” With only sixteen years of existence, the company was sold the Dailian Wanda Group of China for $3.5 billion in 2016. Purina began when “William H Danforth recognized the need for consistent quality feed for the horses and mules that were helping build this country. So he started producing a feed he called Purina which stood for purity.” In 1894, the company developed the first horse and mule feed known as “Omolene.” Purina expanded to serve cows, goats, cattle, poultry, pigs, dogs, cats, wildlife, and exotics, including chimpanzees, flamingos, and alligators. In 2001, Purina sold to Nestle of Switzerland for $10.3 billion. Harry Burt was a candy maker operating out of Youngstown, Ohio. The name Good Humor was developed when Burt wanted to rename the “Jolly Boy Sucker” he had created. He began to incorporate ice creams into his store and created a sample with a chocolate coating for his daughter Ruth, who gave her approval. Using his son’s advice, Burt put a wooden stick in the ice cream to prevent a mess when eating the product, and they immediately signed an affidavit of intention for his new treat. Good Humor was purchased in 1961 by the Thomas J. Lipton Company, a subsidiary of the British-Dutch company Unilever and merged with Breyers in 1993. Lucky Strike was introduced in 1916 by the American Tobacco Company and by 1925 the company made up one-fifth of tobacco sales. Lucky Strike was the first company to advertise towards women in 1927. Three years later, Lucky Strike was leading cigarette brand in the country after they began advertisements aimed at women. In 1994, the cigarette company sold to the British American Tobacco Company for $1 billion.